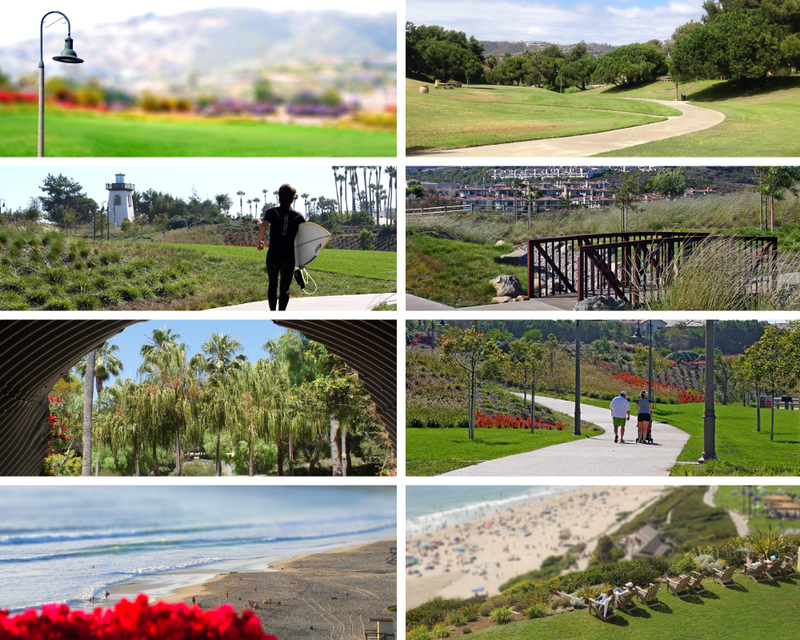 VENUE: Dana Point’s Sea Terrace Park is located on the corner of Pacific Coast Highway & Niguel Rd. FREE STREET PARKING: Earlybirds may want to park on Niguel Road (between PCH and Camino del Avion) and portions of Pacific Coast Highway… and just walk to the Main Entrance. In conjunction with the City of Dana Point, we will open street parking surrounding Sea Terrace Park, temporarily changing the signage in those areas – please obey all city signage. LYFT, UBER, TAXIS, DROPOFF: We have secured the parking lot across the street from Sea Terrace Park (Surterre Properties) as the exclusive Rideshare Lot. Whether dropping off, or picking up at the end of the night, this will be the only address to point to: 33522 Niguel Road, Dana Point, CA 92629. BIKE PARKING: Use pedal power – by far the easiest way to get to the blues fest. We will have a designated location for Bike Parking where you can park your bike directly near the Main Entrance. Please bring your own lock for safety, as this area will not be staffed. LAGUNA BEACH TROLLEY: If you are staying at any of the 25+ hotels in Laguna Beach or live in town, jump on the Laguna Beach Trolley – it drops off at the Main Entrance on Ritz Carlton Drive. ADA PARKING: There are a limited number of ADA parking spaces available near the Main Entrance, located in the Salt Creek Beach parking lot. HOURS: The Main Entrance area at the Salt Creek Parking Lot will not open until 7:00 a.m. – NO LINEUPS PRIOR TO 7:00 a.m. The Front Gate booth (wristband exchange, Will Call, Customer Service, etc.) will open at 8:30 a.m. and enjoy music on the Breakfast Set stage while you’re waiting. PARKING LOT AT STRANDS BEACH (SELVA ROAD): We will operate a shuttle bus route from the Strands Beach Parking Lot to the Main Entrance… you can also choose to walk, as it is a half-mile in distance. Parking is free and an all-day shuttle wristband is only $5 per person. PARKING LOT AT DANA HILLS HIGH SCHOOL: Dana Hills High is just around the corner from Sea Terrace Park, and we will operate a shuttle bus route again this year. Parking is free and an all-day shuttle wristband is only $5 per person. SHUTTLE STOP – DOUBLETREE SUITES DOHENY BEACH – DANA POINT & CAMPGROUND: We will pick up all attendees who are staying at the DoubleTree Suites Doheny Beach – Dana Point as well as the adjacent Campground. 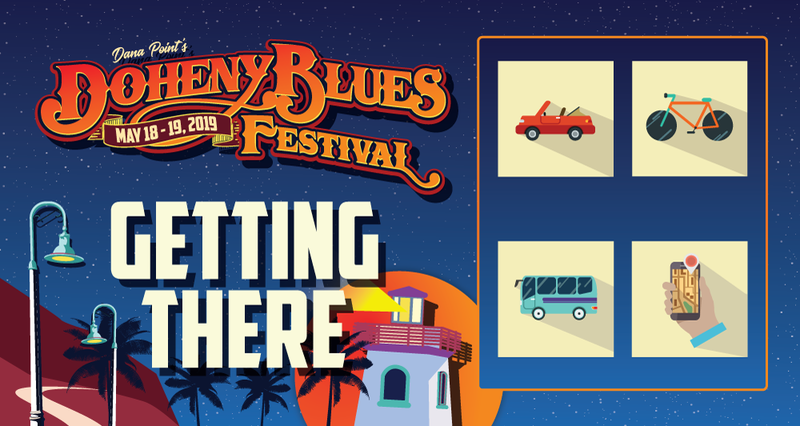 The pickup spot will be directly next to the DoubleTree Suites Doheny Beach – Dana Point and the luxury coach shuttles drop off passengers at the Main Entrance. An all-day shuttle wristband is only $5 per person. SHUTTLE STOP – DANA POINT HARBOR & MARRIOTT: We will pick up all blues fans who might be staying at any of the D.P. Harbor hotels or live in the area. The pickup spot will be directly next to the metered parking lot on the corner of Dana Point Harbor Drive and Puerto Place. The luxury coach shuttles will drop passengers at the Main Entrance. An all-day shuttle wristband is only $5 per person.